Inspired by Jain Konrad's beautiful handspun yarn the Coloring Outside the Lines Shawlette is a simple, yet gorgeous expression of the play between smooth and chunky. Jain's yarn takes center stage in this pattern as it pops out from a background of lace weight wool. 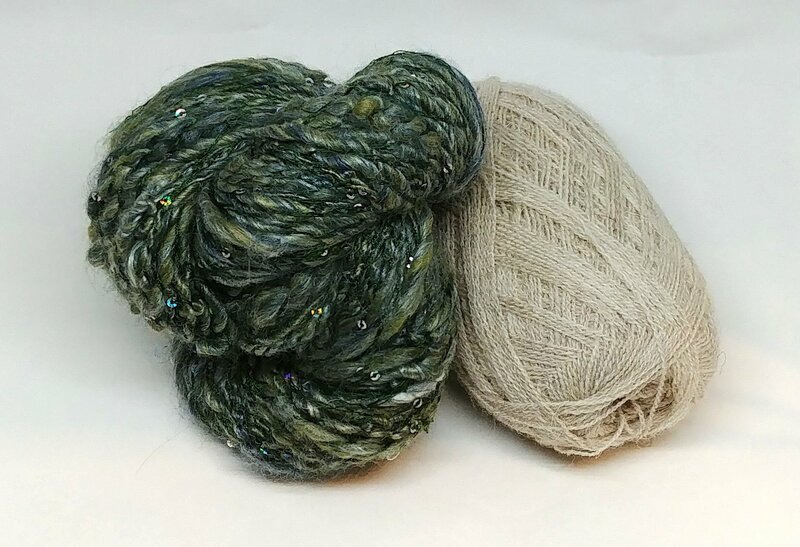 Each kit comes with one skein of eye-catching handspun yarn from Un-Ewes-Ual and one ball of either Einband by Lopi or St Kilda Laceweight by Blacker. As each skein from Jain Konrad is unique, we have taken great care to pair them each with a background yarn that we think will make the shawl come alive! Because of this, each kit is separately priced.